Mel Antos & Ellen Rizzo pictured at one of their remote locations. 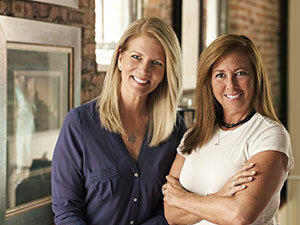 Mellen Productions Location Services is owned and operated by Ellen Rizzo and Melanie Antos. Mellen Productions provides excellent service and practical value to the photographic, commercial and film industry. A wide range of location categories are available at your fingertips through this website. Also available on file is a vast variety of locations set aside and waiting for use such as parks, public pools, restaurants, office environments, homes of distinct eras and other unique environments. If it's not currently on file, special location requests can be tackled immediately through unsurpassed knowledgeable networking and scouting efforts. A sampling of our current clients include McDonalds, Coca-Cola, BMW, Home Depot, Simmons, Marie Claire, TNT, TBS, Toyota, & Macy's. A complete list of clients, including all feature film & television series productions are also available upon request. For more information on locations appearing on this website or to learn more about a host of other services available, please contact Mellen Productions at the contact info listed below.